DALLAS, November 9, 2017/3BL Media/ -- Kimberly-Clark today announced it has again earned a top score of 100 percent in the 2018 Corporate Equality Index (CEI), a national survey and report on corporate policies and practices related to lesbian, gay, bisexual, and transgender (LGBT) workplace equality administered by the Human Rights Campaign (HRC) Foundation. The CEI survey evaluates businesses’ LGBT-related policies and practices as well as and public engagement with the LGBT community. 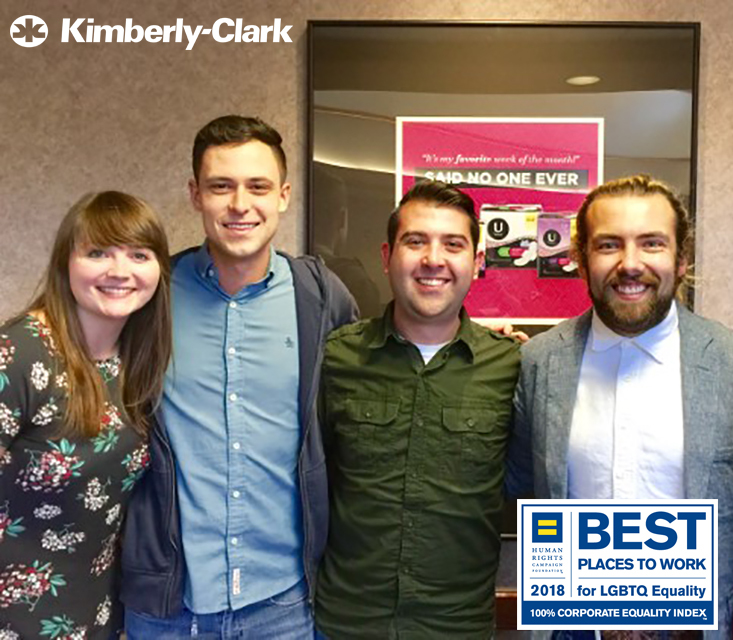 Kimberly-Clark’s’ efforts in meeting the CEI’s criteria resulted in a perfect score and its designation as a Best Place to Work for LGBT Equality. The CEI is conducted annually by the Human Rights Campaign, the largest U.S. civil rights organization working to achieve equality for LGBT people. Now in its sixteenth year, the CEI honors employers who embrace LGBT inclusion as a best business practice. The Index is an integral part of the HRC’s program to drive cultural shifts for businesses to foster greater inclusion of the entire LGBT community. Submissions for the CEI Survey are made each year by employee groups and team members in businesses across the United States. The CEI Survey committee reviews all submissions and assigns a score to each applicant.